The challenges we face in the economy affect our daily lives including even our outdoor recreations. 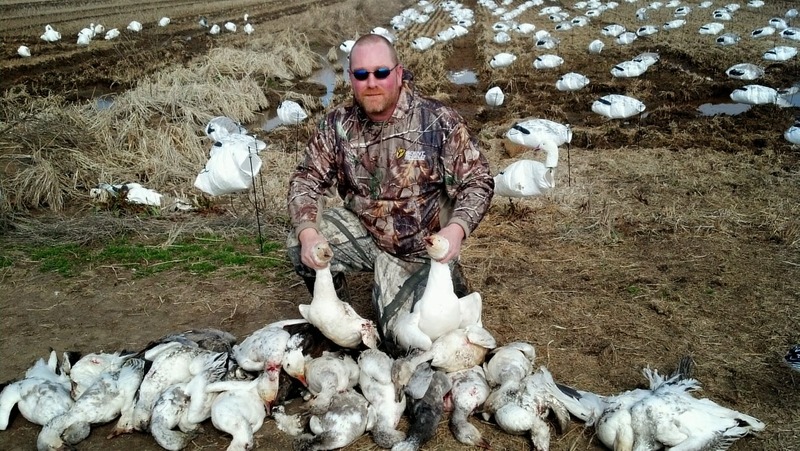 Missouri snow goose hunting is a common outdoor sports recreation and passion for many serious hunters out there. And it’s also a common fact that such sports do not come cheap. The initial expenses that you need to incur to start in this kind of sport would include purchasing a gun, ammunition, decoys, calls, appropriate clothing, and state & federal license. Everything could be worth well more than a couple of thousand dollars, something that not every avid hunter would be able to afford. However, there are certain tips that you can follow in order to have many successful snow goose hunts without necessarily breaking the bank. · Use a guide service. If you do not frequently engage in this sport and you go hunting just about once or twice in a year, a snow goose hunting guide service for your Missouri goose hunting adventure is the most cost-efficient way to hunt. There will no longer be any need for you to buy your decoys, calls, and other hunting paraphernalia. Your guide service will set up the field for you so you will have more chances of getting an encounter with the birds. This will provide you more success and you’ll likely end up enjoying the experience even more. · Try using only a couple dozen high quality decoys. Although one would typically acquire more hunting success by using hundreds of decoys to attract large numbers of birds. By hunting a smaller spread in an active feeding field you may still be able to get some quality shooting. Snow Geese are basically gregarious by nature. If they see a large flock feeding in an area the geese will most likely get attracted to the area and consider this a safe place to get their food. You might also want to consider buying used decoys instead of new ones to save a considerable amount of money. · Don’t go for a very expensive goose call. With a diligent search, a less expensive call can produce a good sound. There is absolutely no need to buy a $150 mouth call for a successful Missouri snow goose hunting experience, spend that money on a quality electronic game call that can be used during the spring season. · Scout better and diligently. There are good hunting spots that you are likely to discover if you will just take the time to look around and do your homework. For others who get so lucky, hunting can be accomplished without much effort. · Sharing the hobby with a couple of friends who enjoy your hunting passion is another good way to save a great deal. This will make all the activities a lot of fun with much less work too.